An aerial view of the Ramat Rahel site, where the gardens were discovered. Finding Professor Green's sub-irrigated planter bench in the Cyclopedia of Horticulture established the fact that SIPs have been around for a long time. He made his planter in the 1890-91 period. Compared to the 2500-year-old gardens at Ramat Rahel, that was just yesterday. Why then is our consumer horticultural education system still fixated on drain holes, sprinklers and other overhead irrigation systems that waste water when compared to sub-irrigation? Add the fact that sub-irrigation increases yields and produces healthier plants and we have a mystery of the modern age of climate change, conservation and sustainability. The garden relied on an advanced irrigation system, which collected rainwater and distributed it using artsy water installations, including pools, underground channels, tunnels and gutters. These water installations ended up being the key to the team's new discovery; the researchers found grains of pollen that likely got trapped in plaster when the installations were renovated and the plaster still wet. The result was preserved pollen grains. An ancient royal garden has come back into bloom in a way, as scientists have reconstructed what it would've looked like some 2,500 years ago in the kingdom of the biblical Judah. Their reconstruction, which relied on analyses of excavated pollen, reveals a paradise of exotic plants. The luxurious garden had been discovered at Ramat Rahel, an archaeological site located high above the modern city of Jerusalem, about midway between the Old City of Jerusalem and Bethlehem. This site was inhabited since the last century of the Kingdom of Judah (seventh century B.C.) until the early Muslim reign in Palestine (10th century), a period that saw many wars and exchanges of power, with the garden evolving under each civilization. This EarthBox type sub-irrigated planter (SIP) was on the market more than 100 years ago. It had the same benefits of healthier plants, no messy drainage, time saving and water conservation that present day SIPs have. A water tight container with a water & oxygen reservoir at the bottom, fill tube and wick (in this case sponge), is all it takes to make a SIP and yet we still have horticultural institutions that know little or nothing about them. What does that say about the rest of our education system? What Has Our Horticultural Education System Been Doing For The Past 100 Years? 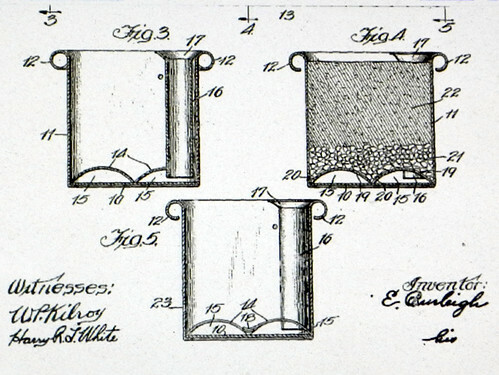 Following are drawings of a sub-irrigated planter (SIP) patent from 1917. It includes a water and air reservoir, fill tube and overflow drain hole. Sound familiar? Avi Solomon sent me this incredible find. The patent description written almost 100 years ago describes all the benefits of SIPs that we have proven to be true today. This is not just about a window box type SIP. These drawing describe a generic configuration for all SIPs that are capable of solving many of the food shortage problems we have in our cities. It is little known in America that the UN Food and Agriculture Organization (FAO) teaches these methods around the world. It is known as micro gardening or simplified hydroponics in South America. Why do we not know about it? For me the most astounding part of this archival discovery is a comparison to the planter in the photo at the bottom. It is a Fiskars planter box made into a SIP with the simple addition of a half-round section of plastic (HDPE) corrugated drain pipe. I made it about a month ago using basically the same method as shown in these prior posts. You can see that it is virtually the same method as the 1917 invention. We will have one of these SIPs planted with herbs at the introductory SIP seminar. Finding information like this demonstrates once again that our horticultural education system has been in a long Rip Van Winkle sleep. I'm by no means convinced it's awake yet. We have paid a very steep price in our society for this long nap. Contrary to the opinions of those who are still living in a long gone rural age, in my view the iconography of a dirt garden only on the White House lawn is a national disgrace. It is imperative that we also demonstrate modernity to our children and the world. Most of us now live in cities where land is scarce and very often contaminated. Using shovels, rakes and stoop labor as the primary means to grow food in the city is as dumb as dirt in my view. Avi and others who are tuned in to modern horticulture will be at the seminar on Thursday. Try to be there and tell your friends. We disparately need people who get it or have open minds and are willing to learn. We also need people who are willing to spread the word in any way they are able. It all starts with a light that shines on truth. This is a prototype sub-irrigated planter (SIP) I made back in 1998. It's an inexpensive food storage container from The Container Store. The green platform is a plastic party plate, the wick is a party cup glued to the plate. The white material in the wicking cup is perlite. That is a clear plastic fill tube sticking up on the right. The planter worked but I realized that you would damage the plant if you needed to remove it later on. While attractive, the globe shape is not practical. Fast-forward 10 years and the Grobal from a favorite of designer groupies appears. It's still an impractical design in my opinion. At least the one above is clear and you can see and understand what is going on with the plant, its root system and the soil moisture. I didn't realize there was a Liberty Hyde Bailey Museum until its Director John Stempien posted a comment about it on this post about 119 year old sub-irrigation. If he was alive today, I wonder what his opinion would be about the quality of present day horticultural education. We are dedicated in educating people about America’s Father of Modern Horticulture, Liberty Hyde Bailey. He believed in putting people in sympathy with their environment. We strive to fulfill his vision through his birth site and programs linking botany, horticulture, environment and everyday life. Does this look and sound familiar? Even though the planter was for sale over 90 years ago it reads much like an ad for an EarthBox, Tomato Success Kit or Garden Patch Grow Box. See the Popular Mechanics photo below. Note the fill tube and reservoir and that they covered their bets by calling it both "self watering" and "sub irrigating." Google reveals that we haven't really come very far in all this time. Progress moves at glacial speed in the gardening and horticultural world. Pour water into the tube once a week. Perfect air circulation and drainage. No surface watering. Leak-proof and rust-proof. You can move Rare Roses indoors or out and have beautiful Flowers and Plants the year round. Plants and flowers may be kept fresh and healthy all year round with very little attention by a self-watering steel box that has been patented. Moisture and air are directed tot he roots through a series of perforated tubes fed from a reservoir that requires filling only once a week. It is said that the plants cannot be overwatered by this device. 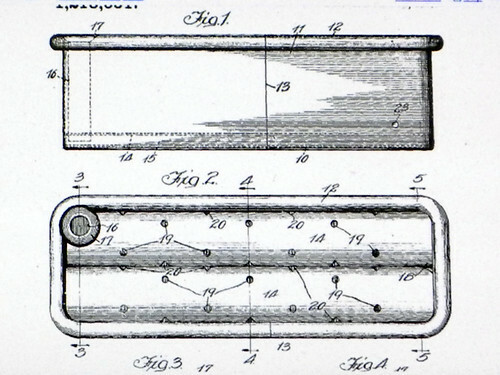 A pipe with an opening receives the supply of water and acts as a reserve tank, in addition to carrying air beneath the soil. Gosh, what will they think of next! Incidentally "nurserymen" in 1939 are now "horticulturists". A long time ago I was a "salesman". "Sub-irrigation" is now erroneously referred to as "self-watering" in the consumer market. "Soiless" means no dirt from the ground. Get the new book "Soiless Growth of Plants" and learn this new technique which everyone is talking about. Three methods described_Water Culture, Sand Culture, Sub-irrigation. Explains all operations. Tells how to make containers and nutrient solutions from raw materials at small cost_how to grow flowers, vegetables and fruits without soil. A fine hobby and a money-saving investment for city dwellers. A source of new business for gardeners, nurserymen, etc. Only book of its kind. Order today" Soiless Growth of Plants" Sent postpaid for $2.75. 1183. Sub-irrigation with two tiers of tile. Thanks to Google, we have these photos of a sub-irrigation planter (SIP, aka “self-watering planter”) that is about 110 years old. When a vendor touts their "new self-watering planter" invention, just smile. The photos are from the Cyclopedia of American Horticulture, by Liberty Hyde Bailey and Wilhelm Miller (1900). Many consider Liberty Hyde Bailey as one of the founding fathers of American Horticulture. He was also co-founder of the American Society for Horticultural Science (ASHS). We can also thank our reactionary consumer horticultural education led primarily by the USDA extension program, for the fact that a hundred years later sub-irrigation is not more widely known in mainstream America. Due mostly to our backward looking education, we are stuck in an outdated age of clay pots and drain holes. If we have a problem feeding people living in densely populated urban areas, we can trace much of the fault to this broken education system. The planter designed by Professor W.J. Green of the then Ohio Experiment Station, in Wooster, Ohio works essentially the same as an EarthBox, Tomato Success Kit, Garden Patch Grow Box and all the other homemade sub-irrigation planters (SIPs, aka “self-watering”) including utility bucket SIPs. All use the simple principle of capillary action. Green's sub-irrigation work dates back to 1890-1891. What have we been doing since then? Professor Green made his SIP with materials available in his day. There was no sheet plastic, no plastic pipe in those days. Instead, he used concrete and clay tiles to create the planter using a greenhouse bed. Read the entire section from the Cyclopedia of American Horticulture. These are some of the proven benefits of sub-irrigation that Professor Green cited. They are the same as those for present day SIPs. In the mid '70s I ran an interior plantscaping company in Los Angeles. That was when I discovered sub-irrigation (aka self-watering) planters and systems. This is one of the systems we used. It is called the Mona Plant System (MPS) and was invented in Sweden. Back then, it was already a well-established system in Europe. The MONA tank on the left can be installed in any watertight planter as shown in the cross section on the right. The tank holds water poured into the fill tube. The cone in the center creates a soil wick that moves water up into the root zone by capillary action. 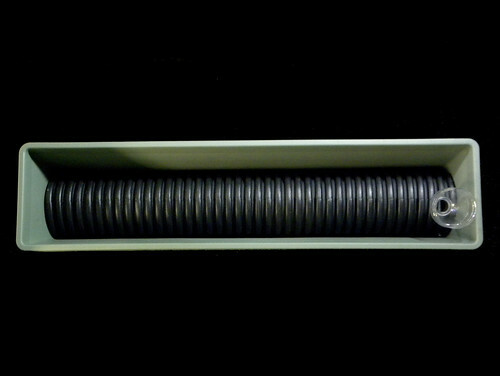 The soil wick used here is the same technique as used in the EarthBox. Cornell U. » Why is Sub-irrigation Good in the Greenhouse but not in Your House or Yard? The photos above came from a PowerPoint presentation entitled Financial and Practical Considerations of Selecting Zero Runoff Subirrigation Systems. The source of the information is Cornell University. You can download it as a PowerPoint presentation or view it in HTML in your browser without the photos. Following are the reasons and benefits cited in the presentation for greenhouse growers adopting sub-irrigation over top watering. They are of obvious benefit to consumers growing houseplants and vegetables as well.